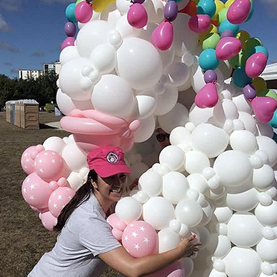 We are balloon twisters, performers, costume designers, dress makers, sculptors, creators, and entertainers! We love to compete, we love balloons, and we can help your event, no matter where you are in Canada. Incredible balloon art, innovation & creativity! In 2016, at the World Balloon Convention in New Orleans, 5 talented Canadian balloon artists formed the first ever Canadian Team and took our passion to the world stage. Grown to 8 members currently, our team is spread across the country, proudly working hard to represent Canada. We are focused on innovation through incredible balloon art creation, competing in events both as a team and as individuals. Twisters, Creators, Entertainers, & Makers! As an artist, Drew is always striving to create the unexpected. Ideally, every piece will cause a positive reaction that guests will remember for a long time. 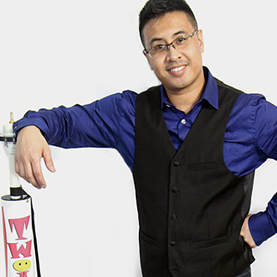 As an entertainer, his desire is to leave a sense of whimsy and delight as an expert Balloon artist, skilled micro-cyclist, and talented table magician. 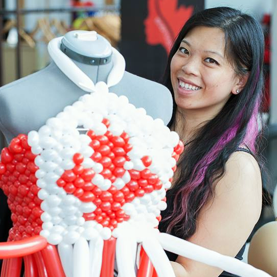 Kristal is an award-winning balloon artist and face painter – she has won multiple balloon awards, hosted competitions at industry conventions, created balloon dresses in a number of different countries, and has been published in fashion magazines for her balloon couture. 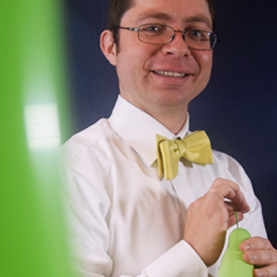 Glen’s passion is to use balloons in ways people haven’t seen before – this comes from his nerdy analytical side. 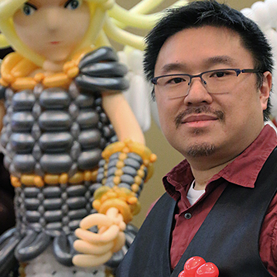 He truly loves watching people’s eyes widen as he creates amazing figures quickly out of thin air and enjoys their delight when he hands them their unique balloon sculpture. A true balloonatic, Dennis constantly has balloons on the brain – so much so, that there are balloons in his pockets at any given time! Faces are his forte, so it makes sense that his favourite colours are Blush and Toffee, which is perfect for many of his “AIR-icatures”! 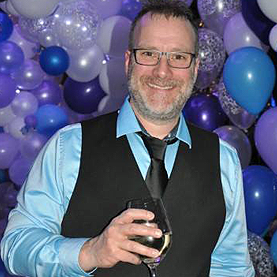 In additional to running his balloon business and competing, Derek is also an international balloon instructor. 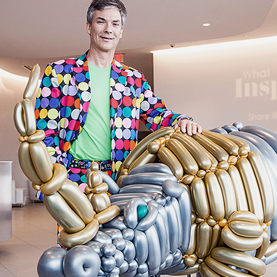 He has been traveling to Europe, US and Canada to give balloon workshops and to share his passion and knowledge to other balloon artists around the globe. Linda is very familiar with the grueling nature of endurance balloon art. Artists will spend hours if not days on a single project often with little to no sleep. Linda will be focused on the team fed and healthy through it all! And make no mistake, she will be twisting balloons as ferociously as the rest of the team. Pamela is a organizer extraordinaire. A graduate of Environmental Studies from the University of Waterloo and previously a project manager for the UofW online continuing education programs, Pam skills keep us organized and handle all the office tasks that can easily slip under the cracks. 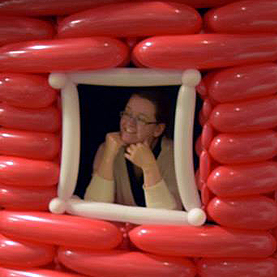 Experience the magic of a balloon transformed into anything imaginable! 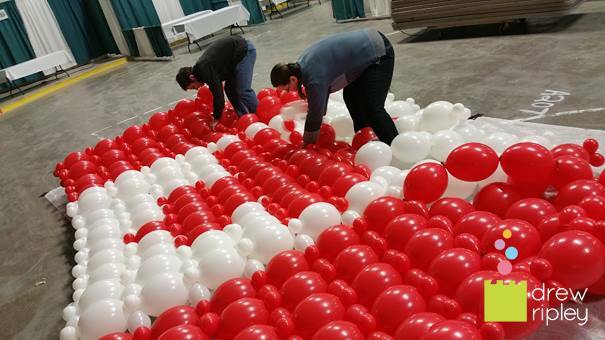 We love to compete, we love balloons, and we can help make your event, no matter where you are in Canada. Members are also available for class and private instruction. What can we do for you?